The changelog of the new update includes some UI improvements, support for consecutive voice messages autoplay, more status replies options and info about the Dark Mode. The Touch ID support is a feature under development. WhatsApp is working on this feature in these weeks and unfortunately it’s not available yet for development reasons: the feature needs to get some improvements before to be enabled for everyone. It’s still in a high alpha stage. 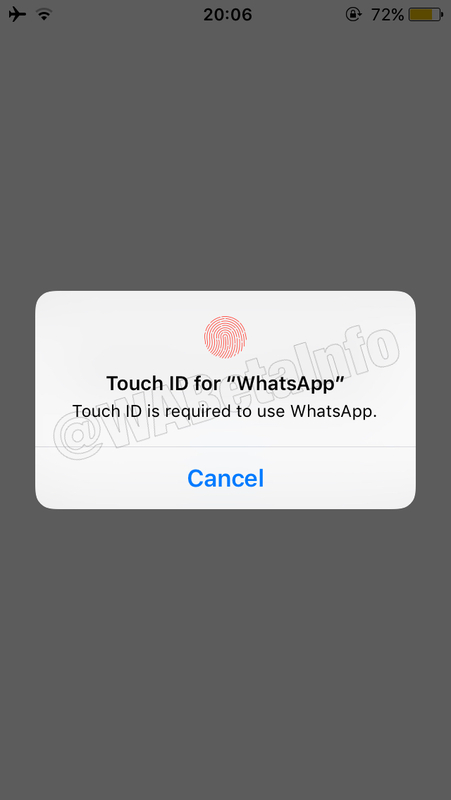 Finally the day has come and we can exclusively give the good news: WhatsApp is really working to add the Touch ID support in the application! Let’s give a short description about how it will work. In your Privacy Settings, you will find in future a new option called Touch ID. Note that no data about your fingerprint and passcode are sent to WhatsApp, due to the very restricted iOS APIs, because it’s something managed by the system itself. We don’t know when the feature will be publicly available for everyone, seen that this is still in an alpha stage. The feature works without issues but WhatsApp should improve the response time to the authentication, that are currently a bit slow. 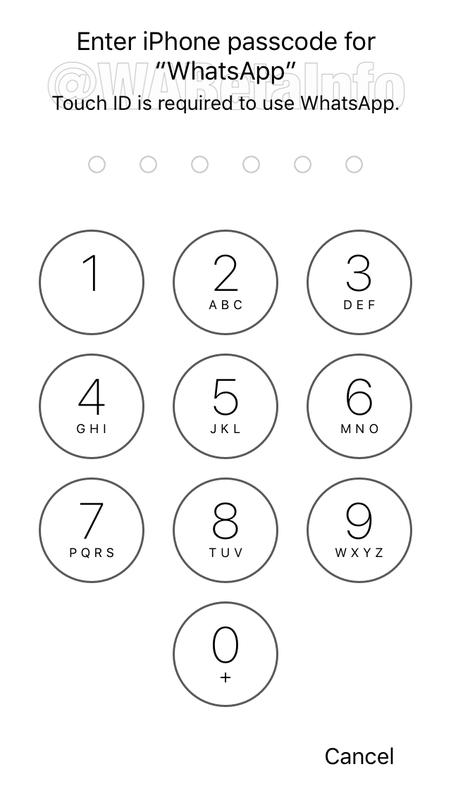 “Touch ID” is available in future for any iPhone having the fingerprint sensor on iOS 8+. “Face ID” is available in future for iPhone X, iPhone Xr, iPhone Xs and Xs Max as well. WhatsApp Business for iOS (that will be available in future) will support app authentication as well. Unfortunately we have no news about Android actually, but we will let you know if there is something in the next Android development related to app protection. Note that WhatsApp is really used to implement on Android any feature already developed on IOS, so let’s wait for it! Re: WhatsApp is working to add Touch ID and Face ID support!